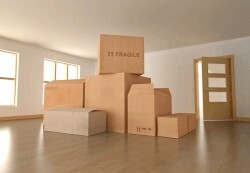 Moving in or moving out alone can be a lot of burden to you. Try our move-in/out cleaning service to enable your loads to be lightened and be free from worrying about not getting your deposits back! Move-in/out cleaning service at Maids Around Town is one of the best cleaning services in town that covers the widest range of categories. The service includes bathrooms, bedrooms, kitchen and other living areas. Even though the options that you want to be taken care of are not listed in this, you can always contact us through emails through getclean@maidsaroundtown.com or call us to 512-782-4578 to inquire about the availability of the services you want. We fully reflect your special requests into our services so that we can offer the professional and custom-made move-in/out cleaning services. The move-in/out cleaning service follows the checklist and is performed by the several stages of standardized processes. All the staff at Maids Around Town work restlessly to satisfy our customers and create the results that we can satisfy with as well. If it’s your first time using a cleaning service, or you have a special request to make, please call us or click here to get an instant online quote for your apartment.